What do you think, a missed chance for Alfa? All credits go to East for finding this link; he re-discovered the site of Alfa Heaven Inc. and found some better pictures of the custommade SW he has for sale. Great looking SW. I would have one if it was produced. Nice pics. This gives you a much better look of the car than the small ones who are on most sites. 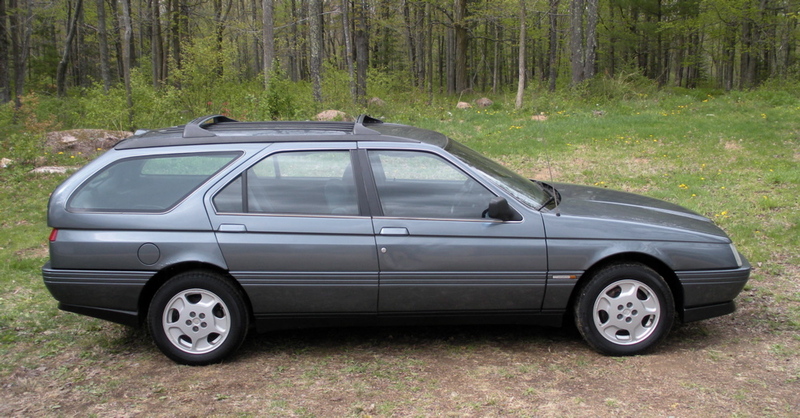 I'm sure this version of the alfa 164 is not designed by pininfarina! As a bandage for not being able to buy Alfa. The only ones who are able to design a 164 SW are ofcourse the Italians. 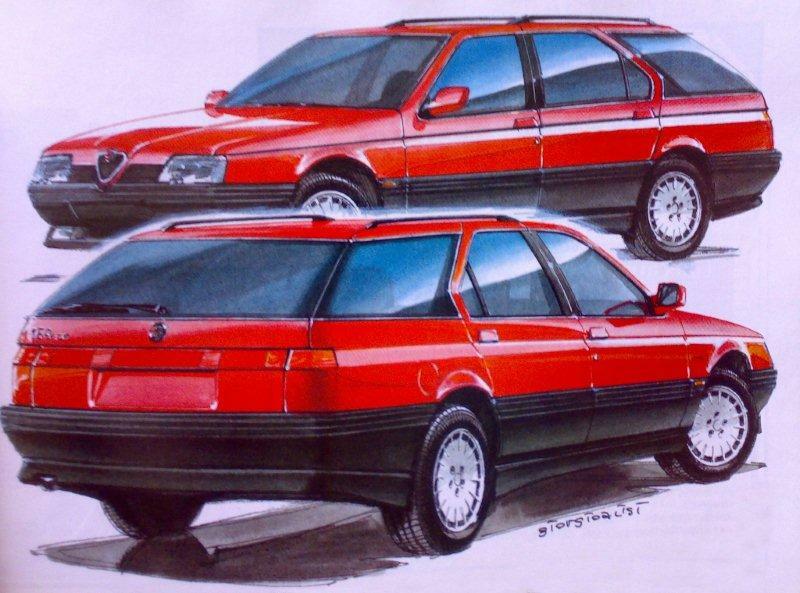 Paulo sent me this artist impression of a 164 SW, sketches are made by Giorgio Alisi, a man with a vision! Too bad this one was never made! Wow, this one is really great! That how it supposed to be! Now it's to bad it didn't got to the productionline! 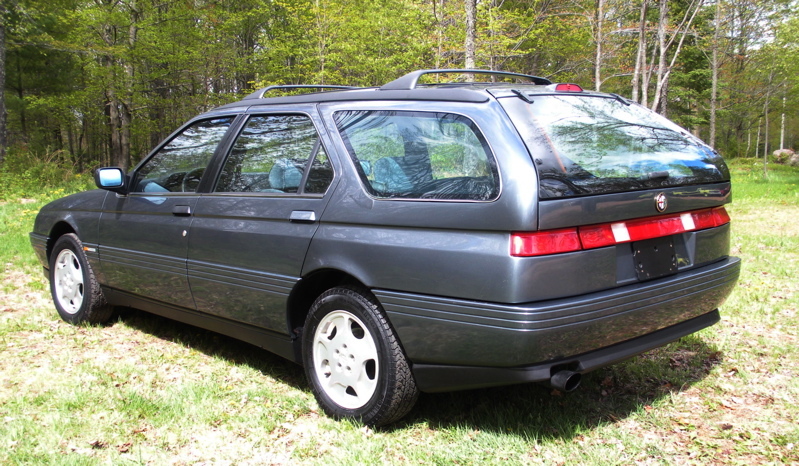 I think it would have sold well enough to justify the investment, but yes, as Alfa designed it, not the one for sale at Alfa Heaven with the ill-fitting Ford/Mercury hatch. The 33 SW and 156SW show that it can be done successfully. I agree with Ladin164QV about the drawing, this red SW is much much better looking. personal I'm glad it wasn't in production, Avant, Break, or what everybody calls them are for the german and french cars.